The onshore portion of a river cruise is, perhaps, the most important part of the entire experience. With riverboats designed to be floating hotels, a place to eat and sleep, what you see and do in the towns and cities you visit is what you'll remember the most. River cruise lines know this and work hard to provide a robust on-land experience that usually encompasses both included and extra-fee excursions. But what's the difference between the two types of tours? Cruise Critic breaks down some of the main characteristics of free and for-fee tours on river cruises, so you'll know which one is the best choice for you. Unless you're on a luxury river cruise or one that's more inclusive, it's unusual to find more than one free shore excursion offered in port. Cruise lines usually provide one two- to three-hour tour that showcases the highlights of each port at no additional cost. 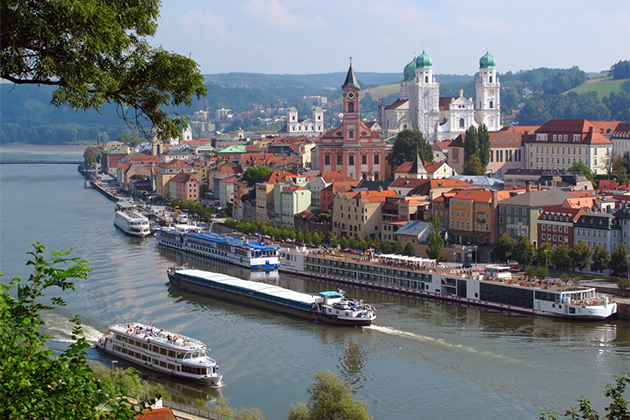 This doesn't mean that everyone is all bunched together; river cruise lines try to limit tour groups to 30 people. There's often one group for slower walkers or those who can't do a full two- to three-hour tour. The higher-priced cruise lines, however, do offer more than one free tour as part of their more inclusive offerings. For instance, on Crystal River Cruises, passengers visiting Vienna can choose a city tour, a visit to an art museum, a tour of Jewish Vienna or a hike, all for no extra cost. Most included shore excursions are walking tours, either in the port you're visiting or in a city that's a bus ride away. Because river cruises tend to visit smaller cities, a walking tour is often the best way to see everything of importance. Passengers participating in the tours are typically divided into smaller groups and given listening devices to make hearing their guide easier. In more exotic destinations (the Nile or the Mekong, for example), only one group will be available and there are no listening devices. If you have a difficult time walking, you might need to make alternate arrangements or avoid these sailings altogether. Depending on your cruise line, you might have to sign up for the included excursions. This is particularly true of any tour that requires a bus ride or admission to an attraction. Always check ahead of time which excursions need advance registration so you don't miss out on anything. Also, if you're unsure whether you want to join an included tour, go ahead and sign up to guarantee yourself a spot. Because they are not tied to revenue, cruise lines have less of a reason to guarantee the quality of the free shore excursions they offer. This does not mean that most free tours are bad. In fact, most included tours are perfectly fine, though how enjoyable and informative they might be is very much tied to your guide. On a recent Rhine river cruise, one group came back raving about their guide, while others declared their guide to be the most boring they'd had so far. Check out reviews of the river cruise line and itinerary you've booked on Cruise Critic to find the names of good guides or tour directors (and then try to get yourself into her or his group on your sailing). Since the pricier cruise lines charge more up front, they often give their passengers an included tour that would normally cost a fee on another line. Tauck, for example, brings passengers to Luxembourg, which can cost extra on other cruise lines. On most European rivers -- and on some U.S. river itineraries -- extra excursions are offered in select ports only; usually larger cities or areas with multiple attractions. In those cases, extra-fee tours might be themed or include behind-the-scene visits to museums and cultural attractions. Other tours take advantage of natural pursuits such as hikes, biking or water-based activities, or highlight the local flavors of a destination through wine or food tastings, a cooking class (such as strudel-making or vineyard visits). The smaller the port visited, the less likely you are to be offered an optional extra-fee excursion. Extra-cost excursions tend to take river cruisers deeper into a specific aspect of a destination through a special or themed experience, although some simply go further afield to visit attractions that require more logistics to get to than a free tour could. Examples of experiential excursions might include a cooking class or truffle hunting in France, waltz lessons in Vienna, or a beer and a wine tasting tour (in almost any country!). 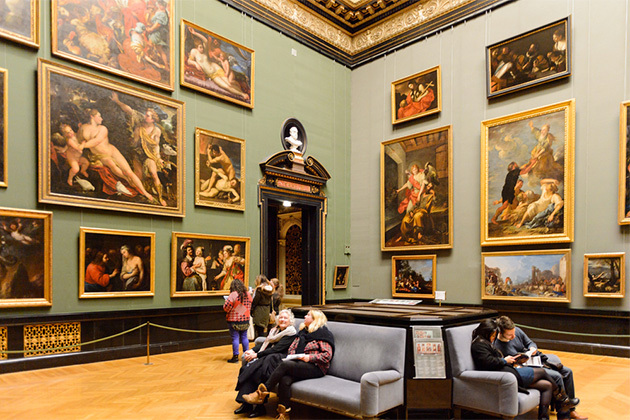 Other tours that typically incur a fee are special visits to museums or castles, bus rides to historical towns or cities far from port, and evening concerts (like seeing the Bolshoi in Moscow). Almost without exception, optional tours require pre-registration and often will sell out as space is limited. Most of the time, extra-cost excursions are kept small in order to create more intimate experiences. Unlike the free tours, you need to be careful about signing up if you're not sure you'll actually want to take a particular tour -- they're not always refundable. Extra-fee tours offered by river cruise lines run the gamut from quite affordable to a definite splurge, especially when offered by a luxury line (1,599 euros for a flightseeing helicopter ride over Austria's Lake District, anyone?). 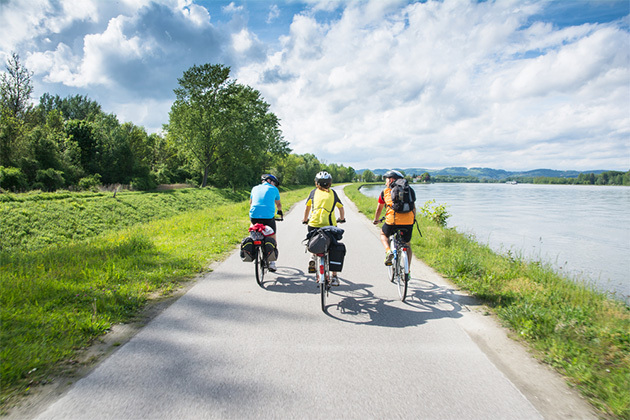 Sample pricing includes: $49 for a wine tasting in Rudesheim (Viking); $5 for an organized bike trip through the Danube's Wachau Valley (Avalon); 65 euros for a Mozart and Strauss concert (AmaWaterways);and $219 for a cabaret with dinner in Paris (Viking).